First, it is so much more than a book. The iBook format allows for so much interaction as well as providing the best possible platform for learning any concept. The days of sitting in front of a computer screen to watch a streaming video or in front of a TV watching a DVD are over. Now text is blended with video and interactive presentations (much like PowerPoint). There’s still more. The capability of interactive note taking diagramming within the book, and sharing through email, Twitter, Facebook, and Evernote are also possible. Links to outside reading via websites and videos on YouTube add to the resources included in this manual. The total amount of video included is over two hours. Instructional videos explain the concept and give additional coaching points. Telestrated, voice over analysis of game video provide a deeper understanding to the reader. All video analyzed is also included separately in a section called “Further Review.” The game cut-ups are separated by press box and end zone view allowing the viewer to choose which angle he wants to analyze on his own. Slow motion forward and reverse are possible. Now the viewer can create deeper understanding by being able to watch the video free of telestrations or being held to the forward, pause, and reverse of a presenter having control of the video. This is a detailed analysis of every tempo and procedural tool being used as well as ideas for future use. There is something here for every offensive coach at every level. The system outlined was used at the college level but had its roots in high school football. Some of the tools have filtered down from what is done at the pro level. However, these tools can be adapted at the youth level as well. Tempo and procedure only take thought by the coach in implementing the tool and practice of the procedure by the players. These types of tools have nothing to do with skill level. What is meant by Tempo Tools? The tempos are divided generally into Fast, Faster, Fastest, Slower, and Slowest. The way in which information is communicated and how the procedure works determines in which category it fits. As Rich Rodriguez points out, the use of tempo is an underutilized aspect of offense. 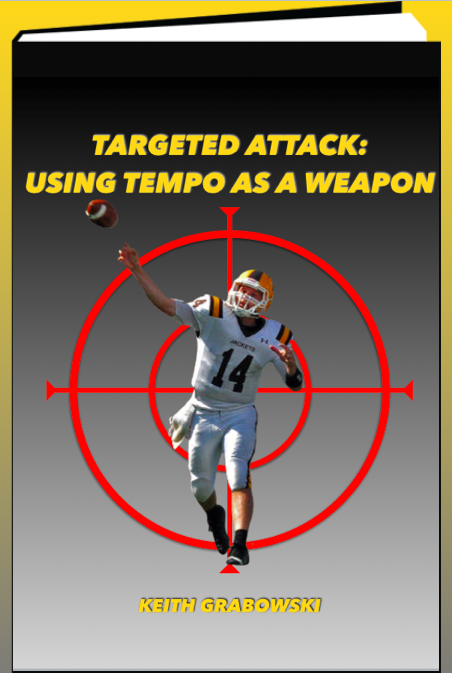 As is explained in this manual, tempo can be used to create a “counter” to how the defense is defending it. It can be used situationally to create advantages for the offense. Overall, it can keep the defense off balance and greatly enhance the attack. 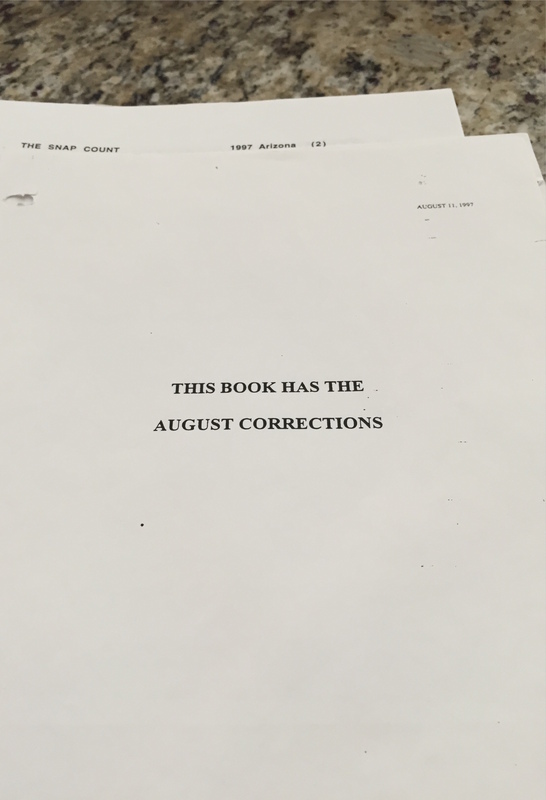 Whether the philosophy is go as fast as possible running as many plays as possible, or manage the game and control the clock, this manual has tools that will benefit each approach. 1. Introduction to Tempo – explains the philosophy and defines tempo and procedures. 2. Setting Up Procedures – discusses how to set up procedures in any offense so that tempo becomes a weapon. 3. Speed It Up – the theory and philosophy of speeding up the pace. 4. Fast – a set of tools that allow the offense to operate at a fast pace. 5. Faster – speeding up procedures and communication to stress a defense. 6. Fastest – tools that allow the ball to be snapped at the fastest interval after a whistle. 7. Slow it Down? – theory and philosophy behind controlling the clock. 8. Slower – tools to get the offense in the best play. 9. Slowest – tools to manage the clock. 10. Implementing Tempo – strategies and methods for implementing tempo in an offense. 11. Game Planning Tempo – thoughts on how to approach inclusion of tempo within a game plan. 12. Exploring New Tempo Ideas – newer ideas in tempo and some that have not been utilized…yet. 13. Getting Started – Must Have Tempos in Any Offense – suggestions for any offense. 14. Perspective: The Greatest Reason for Being Uptempo – perspective on tempo from Dan Gonzalez. 15. Further Review – over 60 multi-angle cut-ups for your review. Plays are labeled with the tempo as well as the play call. Get other iBooks in my series. Coaches Edge Technologies give you way more content than you can get from anyone else. 101+ Pro Style Pistol Plays. More that 101 plays, it give s all the instructional materials you need to run each concept. Pro Style Pistol Offense: 101+ Read Game Plays. Add reads, run-pass options, and packaged plays and play action off the read game to your downhill runs. Like the first book, it has so much more than play diagrams. Video tutorials and interactive presentations give you the details you need to coach these plays. The Zone Offense: Create a Structured System. This resource is designed to show you how to set-up and teach an offensive system. It starts by illustrating in detail the stretch play with position-by-position tutorials. Frame-by frame play analysis with coaching points and diagrams and video. $20 Clinic from home this weekend! Available on all devices. You get hours of video. The diagrams,video tutorials, multi-angle cut-ups, and interactive learning tools in these interactive books are designed specifically for this format. Take advantage of this opportunity to get great coaching resources. Dan Gonzalez Need for Change formatted for iPhone is live! Dan Gonzalez’s interactive book The Need for Change formatted for iPhone is live on the iTunes store. iPhone format does not carry all of the interactive features as the format for iPad or Mac, but all the content is there, including video. 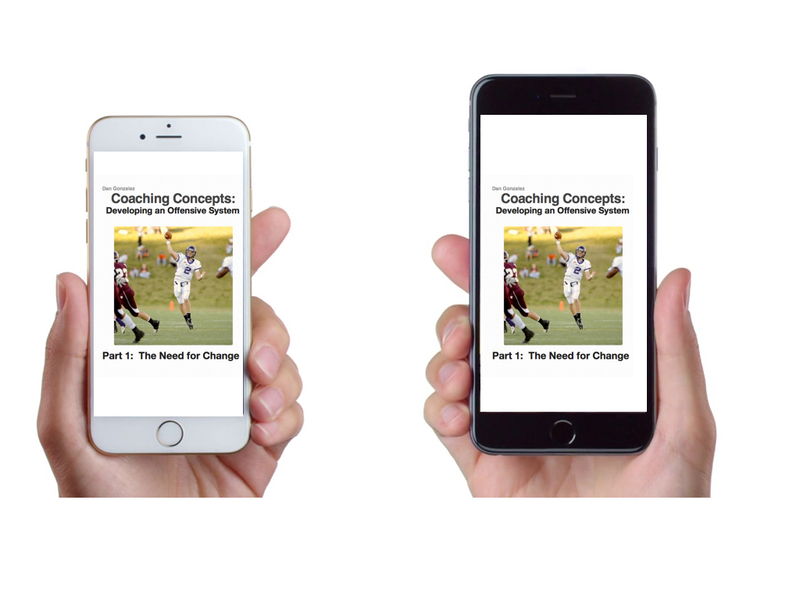 If you don’t have an iPad or Mac, this is your opportunity to get this great coaching resource. Get it here. 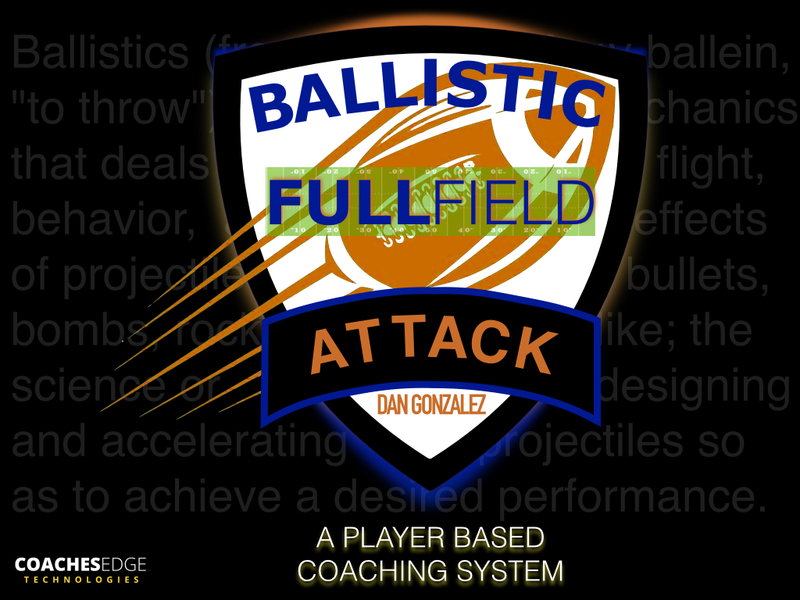 Coach Gonzalez’s webinar is set for February 10th at 8:30pm EST. 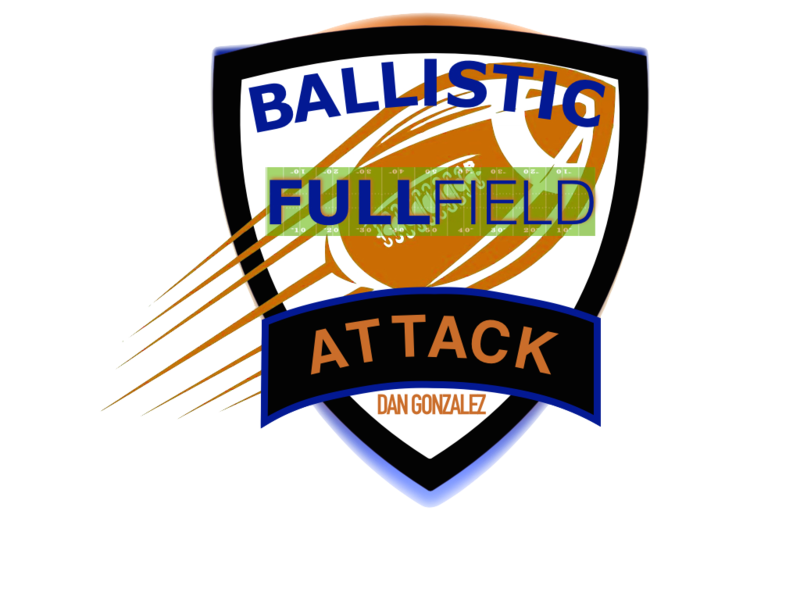 This webinar is loaded with information and sound concepts for attacking and dictating to a defense. Gonzalez has a great football mind. He has utilized his talent to help a number of high schools around the country reach their full potential on offense. While his ideas may seem complex, he presents it in an easily understood format. You will not be disappointed by this webinar. Webinar is available live as scheduled. If you are unable to sit in on the live event, you will be able to purchase the recording. 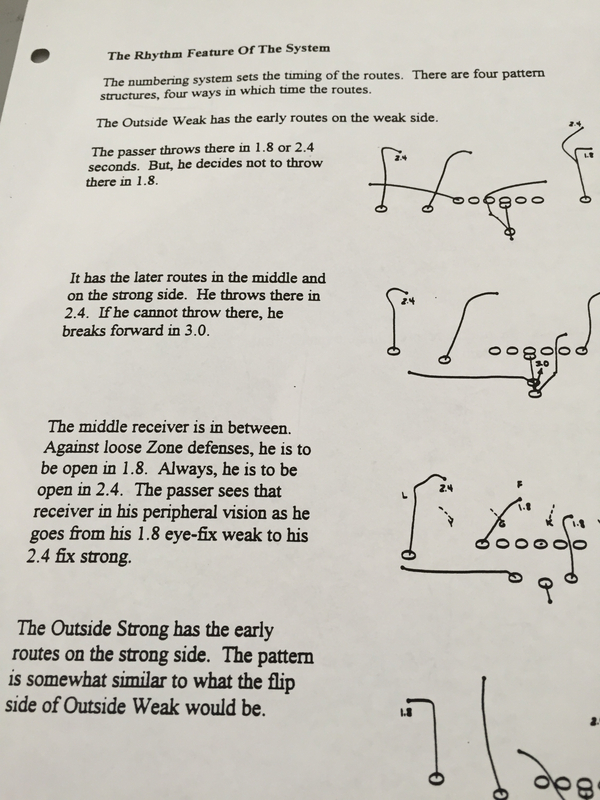 The images above show Homer Smith’s 1997 Arizona playbook. You can see that Smith believed in calibrating route and getting the ball out at precise times. This is a fundamental of the passing game that has been around a long time, though it’s taken on different names and presentation. The premise is that the ball should be out on the the last step of a 5-step drop in 1.8 seconds and on a hitch-up step in 2.4 seconds. In this way the route and the quarterback’s eyes and feet are in sync. In looking a Smith’s diagrams you can see that speed outs, spot routes and curls and deep corner routes are out in 2.4 seconds. Being able to calibrate your system in this way allows for the ball to be out before many protections break down. This is a sound way of developing a passing game. 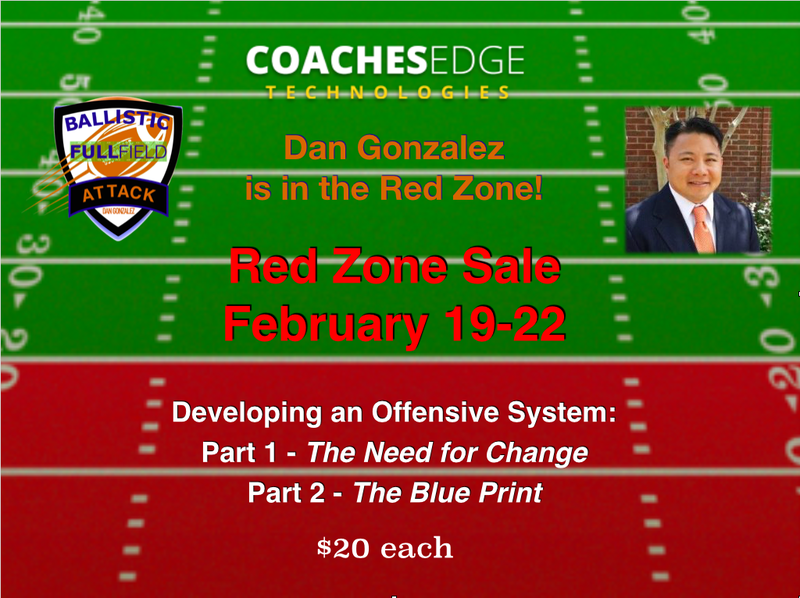 To learn more about this type of progression and passing game, check out Dan Gonzalez’s The Need for Change and The Blue Print. Gonzalez has been a proponent of this type of progression as he spent time learning and corresponding with the late Smith. This principle remains as sound today as it was when it was first developed decades ago. Gonzalez has been able to package it for use in today’s offenses. Cannot do this if all you do is “count the box”!